Anyone can catch TB by breathing in TB bacteria. These bacteria are in microscopic droplets in the air coughed out by people with TB in their lung. If you breathe in TB bacteria your immune system – your body’s natural defence – usually kills all the bacteria and you don’t get ill. In most people, the body’s immune system controls the TB bacteria, which stay in the body at a low level. You won’t get ill and you’re not infectious. This is called latent TB. f you develop TB symptoms, this is active TB. In England, TB affects the lung in just over half of people with active TB. The most common symptom is a persistent cough. You might cough up phlegm, also called sputum, and it may have blood in it. TB can affect any part of your body such as the lymph glands, bones, abdomen and brain. The second commonest site of TB infection is in the lymph glands, often those in the neck. Lymph glands are small areas in your body that contain white blood cells that can swell up if they’re infected. 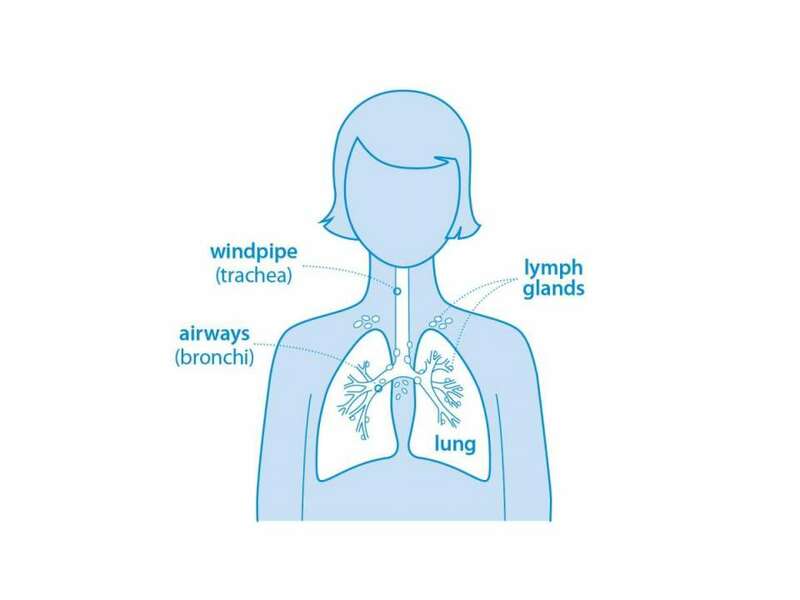 Diagnosing active TB of the lungs can be difficult and you will usually need several tests. The most important tests are a chest X-ray and examining a sample of your phlegm. If you might have active TB in another part of your body, you will usually have a small sample taken from the part affected. For example, if you have enlarged lymph glands in your neck, your doctor will take a sample using a small needle, often guided by an ultrasound machine. It’s not painful – you’ll have a local anaesthetic. You’ll also have a chest X‑ray to see if you have TB in your lungs as well.